There are few things more pleasurable in life than something homemade that you usually buy. Actually, I take that back. I don’t take any pleasure in homemade sweaters or knitted underwear because 1) that’s strange, and 2) because I am craft-challenged. But homemade food, of nearly any kind, can beat the pants off what you can find in stores. Case in point: homemade barbecue sauce. Barbecue sauce in a plastic bottle can taste sugary, overly tomatoey, or – worst – have that false smoke flavor, which you can both taste and read, because on the label, it says “smoke flavor.” True fact. And let’s discuss that, shall we? What is “smoke flavor” exactly? Are the elves employed by the almost-certainly evil dictator known as KC Masterpiece just out there in the forest, bottling up the smoke that swirls into the sky from the fires of lumberjacks and mystical creatures trying to stay warm in the woods and stay alive until they can get to District 13? Is that where it comes from? Maybe? Probably? Mystery solved? Question mark? 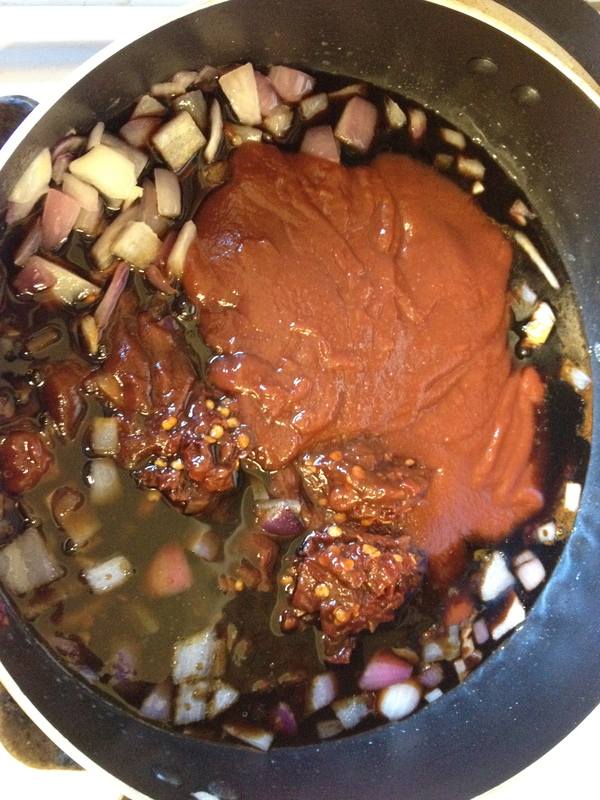 The smoke that you get from homemade barbecue sauce comes from a much more secure source: chiles in adobo. The chiles, combined with brown sugar, bourbon, and a host of flavorings team up together to sucker punch you in the mouth. In a good way. If you’re into that sort of thing. If you aren’t into that, then you should probably mosey along to another recipe. Have you heard of these cookies? A culinary gentle caress, they are. They might be more your style. This sauce needs a few weeks to mellow out, so I’d recommend making it well in advance of whatever you are cooking and just let it chill in the fridge. We had it last night over pulled pork sandwiches and after hanging out for three weeks in the fridge it was less a sucker punch and more a soft palate square dance. Which, if you’re into that kind of thing, was pretty dang tasty. True fact. We used this recipe, and while it was okay, I’d go with a better tested, better balanced recipe next time. 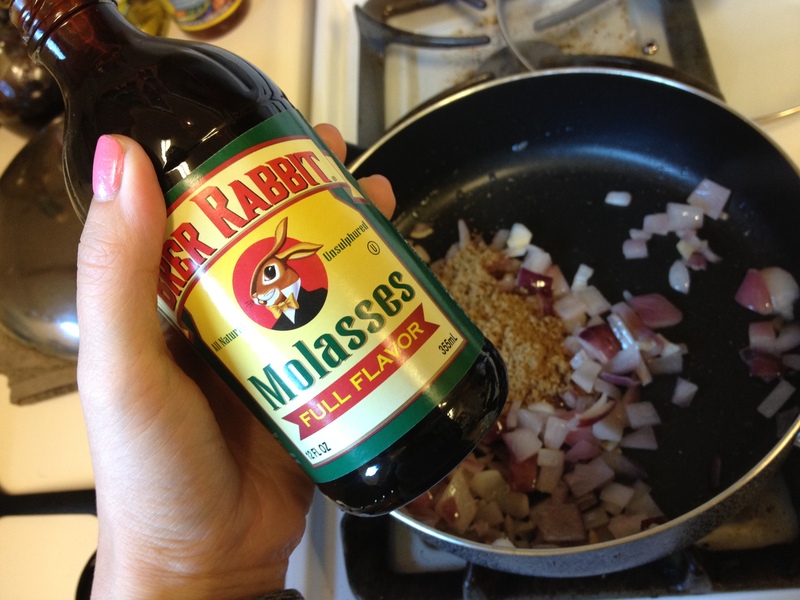 It basically gives you ingredients and then tells you that you’re going to have to modify quite a bit. Hm. At any rate, we did modify quite a bit, so the measurements below are what we made, not what was called for. If I were to make another batch, I’d halve the amount of chiles in adobo and up the molasses, for a sweeter, smokier, more Kansas City-style sauce. 1. Pre-chop everything before you get started. Once all items are chopped, heat the oil in a saucepan over medium-low heat. 2. Once the oil is hot, add the garlic and onions and cook for five minutes, stirring, being careful not to burn them. After five minutes, reduce the heat to low. 3. 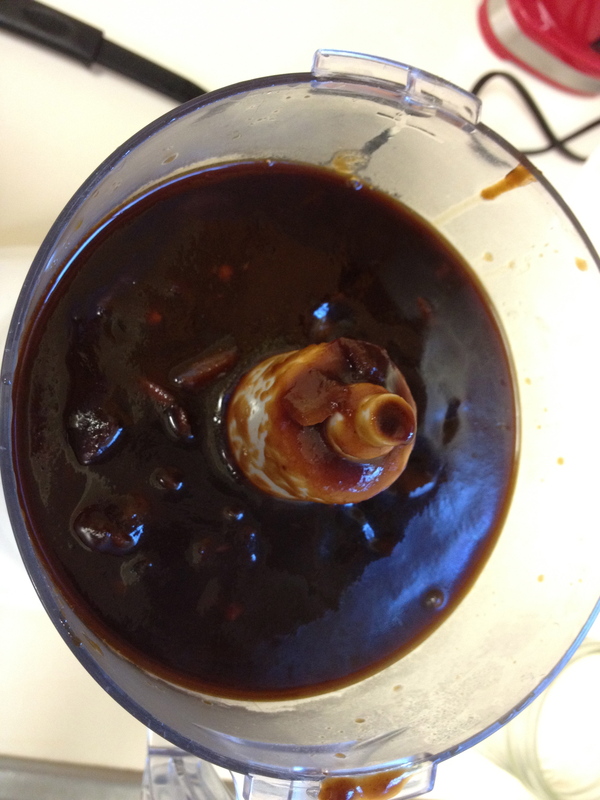 Add the ketchup, molasses, brown sugar, chipotle peppers, vinegar, Worcestershire sauce, bourbon and stir. Allow to simmer for 20 minutes. Taste after simmering and add whatever ingredient it needs. 4. Once you are satisfied with the taste, throw the whole mess into a food processor and puree. I do not care for chunky sauce, so this was an important added step. 5. Bottle and chill until needed.